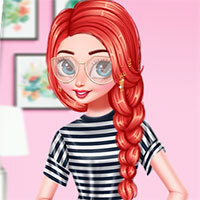 Princesses Love Lips Art is a make up game and fashion game. Jasmine, Ariel and Tiana want to hang out together on New Year's Day. Make up their faces more fresh and radiant. After that, choose the cool and charming clothes. Game Princesses Love Lips Art played 15 times.